Germany’s KIT and USA’s Bokar International are taking the LCR-Reader and ST5 to Produktronika in Germany. The first few batches of the new LCR-Reader have made their way to Bokar International in the USA, Van Device Ltd. in Japan, Sanata-Tech in Russia and Advance Tech in India. “We are not sure how popular the new device will be. It is always hard to predict the market. But we are hearing good responses from our European distributors and therefore we are going to present LCR-Reader at Produktronika in Munich in November. Meet us at KIT Kroschewski Industrie Technik GmbH, Booth number 532, Hall A4, Messe Müchen, to see a quick LCR-Reader and Smart Tweezers ST-5 demo.” says Czes Ruskowski, the CEO at Bokar International. Sanata-Tech, based in St. Petersburg, has joined Siborg Systems Inc. in marketing LCR-Reader and the ST5 model in Customs Union countries, including Russia, Belarus and Kazakhstan. Following a summit in Minsk on October 29, 2013, Russia, Belarus and Kazakhstan announced their intention of forming the Eurasian Economic Union in 2015, and opened the invitation to join to Turkey, India and Syria to join the alliance, further expanding past former Soviet Union countries. Sanata-Tech is an Eastern European supplier of soldering equipment, electrical test equipment and workplace furniture and hand tools. This new partnership offers further accessibility to Smart Tweezers and LCR-Reader to customers in the Eurasian Economic Union. Siborg Systems Inc. and Indochina Equipment & Accessories Joint Stock Company, in Hanoi, Vietnam, has agreed to join efforts in offering both ST5 and LCR-Reader models of Smart Tweezers in Southeastern Japan. Indochina JSC is a known supplier in Southeastern Asia, specializing in supplying equipment and spare parts for various industries using heavy machinery. Both devices are now available for order. Siborg Systems Inc. has released LCR-Reader, a new member of Smart Tweezers LCR-meter family. The new device is half the weight of previous Smart Tweezers models at 1 oz. and a lower cost. It is offered at introductory price until October 31, 2013. To order please follow LCR-Reader Sale link. The new design keeps up with Smart Tweezers tradition of an accurate LCR-meter merged with a set of tweezers. The LCR-Reader is smaller and lighter than previous models, while still maintaining a 1% basic accuracy. Before the release, the new device was showing variations while trying to reach the 1% basic accuracy objective. This problem was fixed by calibrating each unit using the Calibration Fixture. The one handed navigation button allows users to easily switch between measurement modes, from Automatic to Inductance, Resistance, Capacitance and ESR modes. The photo above demonstrates the new screen. AM indicates Automatic Mode, ‘L’ indicates that the component under test is an inductor, the value 104.8 uH is the main impedance value, ‘Rs’ indicates parasitic series resistance of the inductor. 10 kHz is the test frequency being used. The bottom right hand corner provides an indication of battery power remaining. While creating a device with a lower cost, some of the features found on Smart Tweezers had to be left out, including; semi-automatic offset subtraction, component sorting, open circuit detection and continuity and diode testing. The new LCR-Reader still offers the same functionality and easy-to-use experience of previous Smart Tweezers, but the new upgrades will maximize these features, while offering a lower-priced device. The Smart Tweezers Comparison Table has been updated to provide a side-by-side comparison of previous Smart Tweezers and the new LCR-Reader. With the approaching targeted release date of the new LCR-Reader, Siborg Systems has to review the firmware to ensure that the devices are working at their best. After the first few hundred models were produced, inconsistencies between each device reaching the projected 1% basic accuracy. This problem is due to a variation of component values on different PCBs, which Siborg found is easily solved by individually calibrating each and every PCB, using a special calibration fixture. 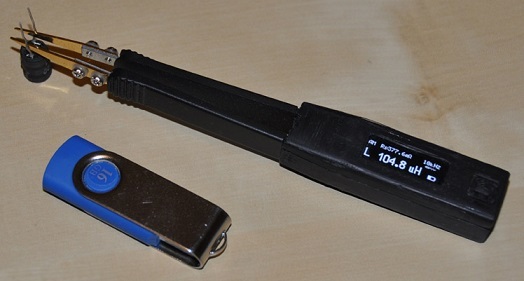 The new, lighter and cheaper model of Smart Tweezers LCR-meter, the LCR-Reader is scheduled to be available this summer. 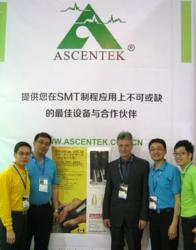 Designed specifically for Surface Mount Technology (SMT), Smart Tweezers are a pioneer in handheld LCR-meters. With a compact design that integrates a set of tweezers, a small display, and an LCR-meter, Smart Tweezers simplifies evaluating and identifying components. The unit’s 2 oz. slender design is easily held and operated with one hand, leaving the other free for taking notes or using other tools, and has been proven as winning combination of tools, currently being used by many major high-tech companies and customers worldwide. Although Smart Tweezers popularity has grown exponentially over the years, the high price tag can range from $300 to $700 depending on the region and seller. The size of the screen, and overcrowding has also become a problem for some customers on the ST5 model. Even with accessibility and worldwide acclaim, the price leaves the device out of reach for hobbyists and casual users. Siborg had attempted making an alternative model of the device with a lower price, without a 1 Volt test signal option, but the price cut appeared to be only 20% and did not change the market picture overall. A prototype for the new model has emerged (Fig 1.) that features half the weight and half the size of previous Smart Tweezers, but also a much lower manufacturing cost.. Development on this new model began nearly a year ago, based on new microchips and a new idea of simplifying the circuit without losing the accuracy that has become synonymous with Smart Tweezers. Siborg’s new LCR-Reader is about half the size of current Smart Tweezers and is able to charge the Li-Ion battery via USB. 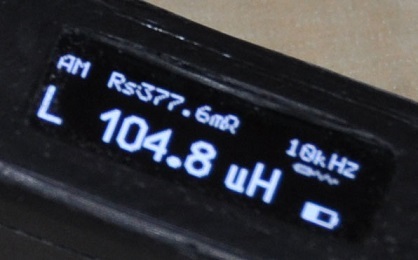 Although similar in design and features, like the gold-plated tweezer tips, the new LCR-Reader features a 1% basic accuracy (the same as the previous ST2 model), a one-button navigation which turns the device power on or off, as well as mode selection; ‘A’ automatic, ‘L’ Inductance, ‘C’ Capacitance, ‘R’ Resistance and ‘ESR’ Equivalent Series Resistance. The new device still offers fully automatic measurements, with the test frequency adjusted according to the component type, test signal amplitude is 0.5 Volts. Figure 2 shows an example of the device measuring inductance, where AM shows the measurement in ‘Automatic Mode’, ‘Rs’ indicates the parasitic series resistor of the inductance, 10 kHz as the test frequency, L proves that the component is an inductance, and 104.8 uH is the inductance value in micro-Henries, and a battery indication of the charge. The new LCR-Reader is projected to be available in the summer, estimating sales to be four time more compared to the previous sales of the ST5 model. The Smart Tweezers’ Blog features all the latest news about Smart Tweezers and the coming LCR-Reader.